SUSAN MAKARA - also known as “Rock Lady” is back with yet another incredible new collection...and wow is it ever stunning! 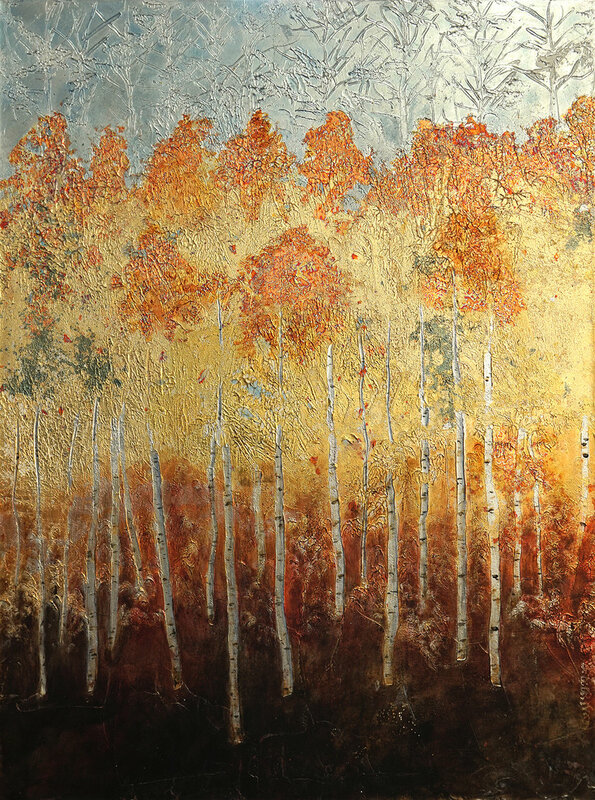 Susan’s newest collection features both her signature balanced rocks, including the first in the gallery on Canvas…… as well as stunning rainbow abstracts and a Metallic Aspen scene, which are out of this world.. Her work can be found in the US embassy in Nepal and her story is truly one-of-a-kind. She has done draw-dropping tributes to Aspen.. Please enjoy your SNEAK PEAK.